Dear reader, we have used the term pozzolanic reaction in concrete in our many posts in our blog and many sites are using this term in discussing pozzolana related concrete properties like strength, durability etc. In this post we will learn about the pozzolanic reaction. Pozzolans are used in concrete to derive special properties, enhancing normal properties of concrete. The pozzolana may be natural or artificial materials that are treated as cementitious materials in concrete remaining in latent form. These materials contain silica in the form of high reactive state. We are proving information here from ASTM 618. 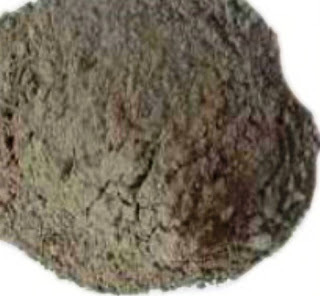 We have emphasized about the condition “finely divided” as only in this state silica can react with calcium hydroxide formed by the hydration of cement. Another condition is moisture, that is, water. When these two condition satisfy calcium silicate, a stable form, is formed which have efficient cementitious properties, expected for pozzolanic concrete. Regarding reactivity, the silica must be in amorphous form, as it is observed that crystalline silica shows lower reactivity, more precisely very low reactivity. Dear reader we are finishing this post here; in the next post we will discuss about natural pozzolana and next few posts will be about many aspects of pozzolana.